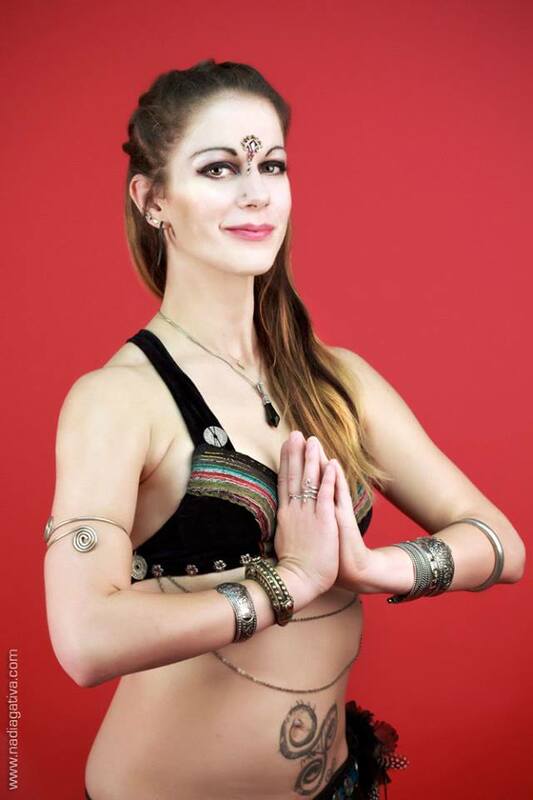 Welcome to Junonia Modern Style & Tribal Fusion Bellydance Ireland, the website and dance resource of Dublin based dancer Jasmin Victoria. I have been teaching Tribal Fusion classes and workshops since 2010. As the artistic director and lead choreographer of Junonia Dance Company, I also organise and attend events in Ireland and abroad. I am certified in the Suhaila and Jamila and currently preparing L3 and the first teacher in Ireland to be certified in the DanceCraft programme. Starting at an early age I cross-trained in Classical Ballet, Contemporary and Jazz Dance. I am also an avid Ashtanga yoga practitioner! Since Tribal Fusion draws from many ethnic and contemporary sources, it compliments and stimulates my multidisciplinary dance and movement background. Personally, dance is a vehicle for creative expression and has powerful healing qualities. Dance helps me be more present and centred. This is why as a teacher, I invite students to push beyond boundaries and to build physical and mental strength. Dancers will experience heightened self-awareness, joy, greater self-confidence, strength and serenity through the dance. Feel free to contact me to jump on the dance train, and subscribe to my social channels for the latest dance news & details regarding classes and workshops. Wednesdays: Technique & Drills 6.45pm - 8.15pm & Combos & Choreo 8.15pm - 9.15pm (DHC). Enrolling for Technique & Drills NOW. Contact info@jasminvictoria.com.